A scholarship of $10,000 is awarded each year to a second or third year law student who has demonstrated an interest in seeking employment with the United States Securities and Exchange Commission. The scholarship may be split among several students. The scholarship award is based on academic performance, demonstrated leadership and interpersonal skills, extra-curricular activities, and interest in SEC employment. Interest in SEC employment may be evidenced in many ways, including enrollment in securities regulation classes, participation in the SEC summer honors program, employment as an intern at the SEC, or scholarly research in the securities regulation area. 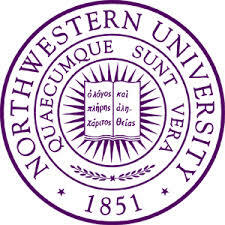 Initial screening of scholarship applicants is conducted by a committee of Northwestern Law School faculty members chaired by Professor David S. Ruder, a former chairman of the Securities and Exchange Commission. Final selection of the award recipient or recipients is made by ASECA. Students applying for the scholarship should submit a letter of transmittal, a personal statement, and a resume to Professor Ruder at [email protected] with a copy to [email protected]. The personal statement should set forth the applicant’s reasons for being interested in employment at the SEC, and discuss each of the criteria contained in the second paragraph of this communication. The application for the ASECA Scholarship should be sent directly to Professor Ruder. Interviews of the scholarship finalists are held during the first few weeks of the fall semester.